Age is one of the many risk factors for high blood pressure and considered the primary risk factor. The risk of having high blood pressure increases as one grows older but men are most likely to have high blood pressure than women. Women are more likely to develop high blood pressure after the age of 65. If family members have high blood pressure, it is more likely that you will also develop this illness. People who are not physically active or those who are sedentary tend to develop higher heart rates. The pressure on the arteries is higher since the heart must work at a greater intensity than its normal phase. The pressure applied on the artery walls are also higher when a person is obese or overweight since if you are fat, the more blood supply is required to reliably provide oxygen and nutrients to your blood vessels, making obesity one of the risk factors for high blood pressure. Smokers as well as those chewing tobacco rapidly increases blood pressure at a temporary state. The chemicals in the tobacco can even destroy the wall lining of arteries which narrows the artery, causing high blood pressure. Second hand smoke can also increase blood pressure. Consuming large amounts of alcoholic beverages can also cause high blood pressure. Having more than two drinks a day for men is not good for the health and can raise blood pressure levels Howeve, moderate consumption of alcohol is good for our health. A salty diet makes our body retain fluid which can also increase blood pressure levels. 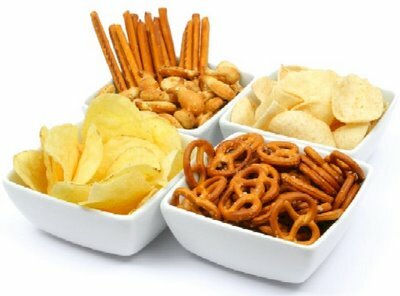 Avoid salty foods which trigger high blood pressure. Being stressed most of of the time can also cause high blood pressure. Relaxation can normalize our blood pressure but do not consider drinking large amounts of alcoholic beverages and eating as well as smoking as forms of relaxations. Increase your consumption of potassium rich foods so as not to accumulate sodium in our body and prevent sudden increase of blood pressure. Also make sure that your diet includes a sufficient amount vitamin D since deficiency in vitamin D can cause high blood pressure.